Anchorage is a shallow port. Cruise ships have to dock at high tide and cannot leave until high tide, ensuring visitors of almost 12 hours in which to enjoy the city. Anchorage is Alaska’s most populous city, containing about 40% of the state’s total population. We visited Anchorage the same day as President Obama. There was some disruption of traffic in the downtown area because of his presence. 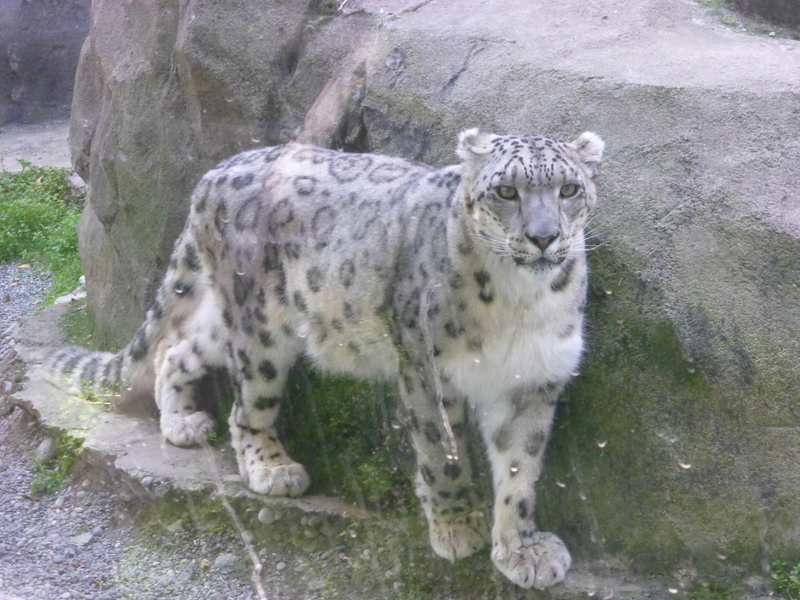 Fortunately, we had chosen to take a trip to the Alaska Zoo, which is located on the outskirts of the city. 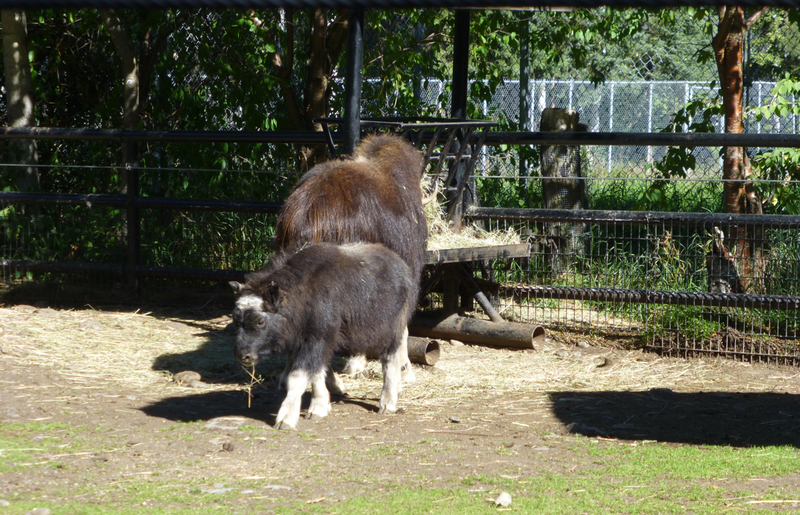 This zoo is appropriately named, since it’s the only zoo in Alaska. According to our tour guide, it all started with an elephant named Annabelle. In 1966 an Anchorage resident won a contest that offered as the prize $3,000 or a baby elephant. He chose the elephant, a female named Annabelle. Visiting Annabelle became such a popular activity that eventually a non-profit corporation was formed to build a place where the public could visit and learn about animals. The Alaska Children’s Zoo opened in 1969; the name was changed to the Alaska Zoo in June 1980. Annabelle died in 1997, but the Alaska Zoo continues to thrive. Located on 25 acres of land, it attracts about 200,000 visitors per year. It houses a variety of animals native to the state and also participates in the Species Survival Program for tigers and snow leopards. 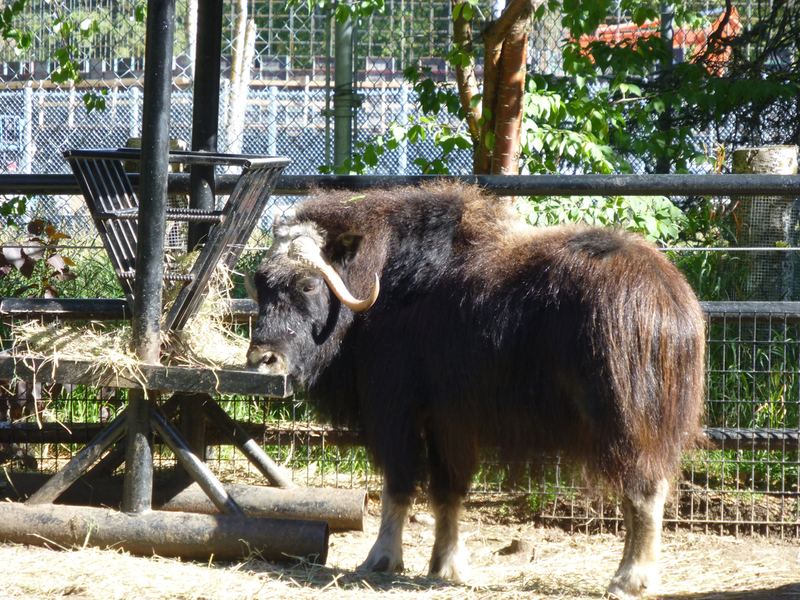 We saw so many animals that it’s tempting to include way more photos than you probably want to see, so I’ll focus on three animals: musk ox, snow leopard, and gray wolf. Click on any photo to see a larger version. Someone asked if the zoo keeper approved of the interbreeding of wolves with dogs for domestic pets, and he replied adamantly that he does not. “These animals are not pets,” he said, stressing that the jaws of the wolf are twice as powerful as those of a dog and could inflict severe damage on a human. 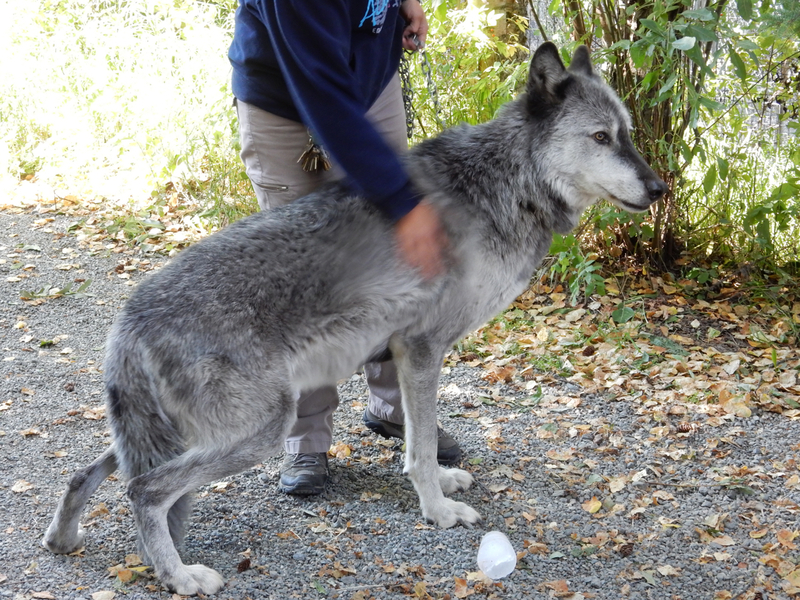 As beautiful as this wolf is, I did not want to get too close to him. On the trip from the zoo back to our ship, the bus driver stopped where we could see Mount Denali (photo at the top of this post), formerly known as Mount McKinley. With a summit elevation of 20,310 feet (6,190.5 m) above sea level, it is the highest peak in North America. Shortly before President Obama’s visit to Anchorage, the U.S. Department of the Interior announced that the mountain would now officially be designated by its native name, Denali.